Pit bull owners, breeders and animal advocacy groups have created a slew of myths and distortions about the pit bull breed to fight breed-specific laws. Below are the top 10 myths. The outdated debate, "It's the owner, not the breed," has caused the pit bull problem to grow into a 35-year old problem.1 Designed to protect pit bull breeders and owners, the slogan ignores the genetic history of the breed and blames these horrific maulings -- inflicted by the pit bull's genetic "hold and shake" bite style -- on environmental factors. While environment plays a role in a pit bull's behavior, it is genetics that leaves pit bull victims with permanent and disfiguring injuries. Pit bull advocates frequently claim that the average person cannot correctly identify a pit bull. As discussed in the Pit Bull FAQ, the pit bull is a class of dogs made up of several close dog breeds (See: What is a pit bull?). This false claim is designed to confuse the public just like the breed's history of changing names is intended to do (See: Disguise breed name). As was recently told to us by a top U.S. animal control enforcement officer, "If it looks like a pit bull, it usually is." Pit bull advocates have even created deceptive online tests (Find the Pit Bull) to further confuse the media, policymakers and the public. These tests are inaccurate and intentionally crafted to show that the average person cannot correctly identify a pit bull. DogsBite.org has created a more realistic test that shows a variety of popular dog breeds. Once one begins to understand the frame, posture and distinct head shape and jaw size of a pit bull, identification is immediate. Can you identify the pit bull? 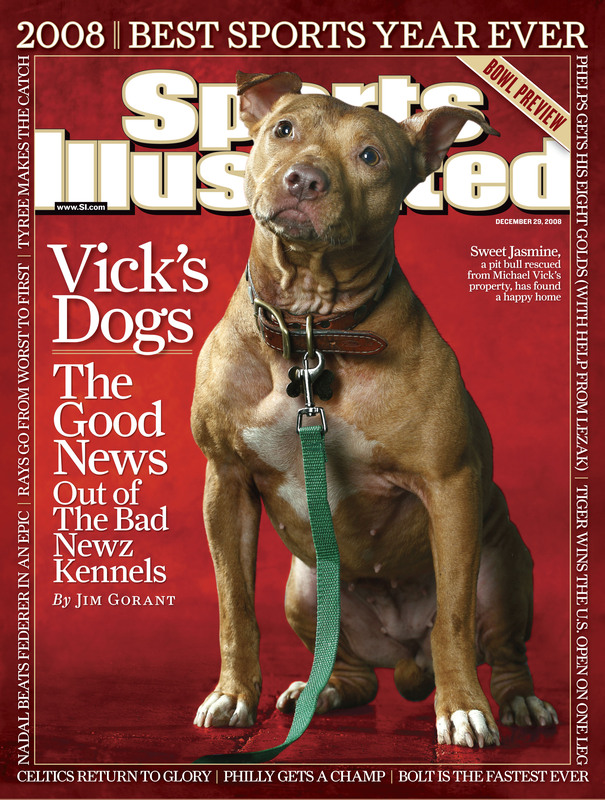 Given the staggering amount of press coverage of Michael Vick's pit bulls, television shows devoted to pit bulls, such as Pit Bulls and Parolees, now in its tenth season, Cesar Millan's Dog Nation, co-branded with a pit bull, and the constant production of "positive pit bull" campaigns on the Internet, it seems unlikely that the average person cannot identify a pit bull. Pro-pit bull groups cannot on one hand parade such imagery and on the other say the public cannot identify a pit bull. There are only two instances in which pit bulls are "misidentified," according to pit bull advocacy logic: after a serious or deadly attack or when a breed-specific law is being challenged. 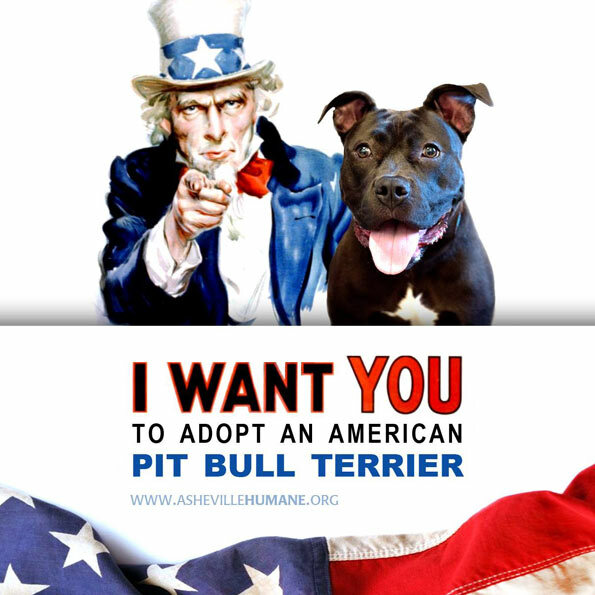 On all other occasions, like free spay-neuter services for pit bulls (backed by grants for free spay-neuter services for pit bulls), aggressive adoption programs for pit bulls and national "socialization" training grants to improve the breed's reputation, pit bulls and their mixes are 100% identifiable. Myth #3: Human-aggressive pit bulls were "culled"
While some dogmen of the past may have culled human-aggressive dogs to keep their stock free of man-biters, once the leakage period began, there is no evidence that similar selective pressures were maintained.9 As early as 1980, pit bull attacks begin headlining newspapers, "Another Pit Bull Attack Reported; Boy, 8 Slashed (1980)," as well as reports of pit bull owners trying to bolster the breed's "deteriorating" public image, "Pit Bull Attacks As Owners Fight Image (1980)." As stated in the CDC report, the authors collected data from media accounts and the Humane Society of the United States (HSUS) registry of fatal dog attacks. Also, all five authors, Jeffrey Sacks, Leslie Sinclair, Julie Gilchrist, Gail Golab and Randall Lockwood, openly oppose breed-specific legislation. This bias is clearly reflected in the CDC report.11 If discrepancies were made in the report, it seems more likely that fatal pit bull attacks were underreported not over reported. "Yessir, there are oodles of poodles popped by cops all the time, and the press does not report it. And attacks by psychotic shih tzus? Covered up. Muzzled, so to speak. What is true is that there is an absence of media regarding the collective damage inflicted by the pit bull breed since the early 1980s. In a recent 13-year period from 2005 to 2017, pit bulls killed 284 Americans, about one citizen every 17 days.14 By 2021, pit bulls are projected to maul 441 Americans to death since 1998, the year the CDC stopped tracking fatal dog attacks by breed, and over 515 Americans since 1980.15 Major news agencies are absent on these important issues. Pro-pit bull groups continuously attempt to debunk the pit bull "locking jaw" expression that is often used by the media and the public. A pit bull's jaw may not physically lock, but due to selective breeding for a specific bite style -- to hold on and to shake indefinitely -- we consistently hear in news reports that the dog "would not let go." DogsBite.org has recorded numerous tools used to try to get a pit bull to release its jaws including: crow bars, hammers, baseball bats and knives. Learn more in our Pit Bull FAQ: Why do people say that pit bulls "don't let go?" 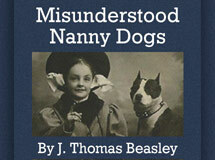 Pit bull advocates often claim that by World War I, the pit bull had become the "most popular dog in America." A source is never cited with this claim. In March 2006, the publication Animal People tested this claim. By searching the classified dogs-for-sale ads from 1900 to 1950 on NewspaperArchive.com, the organization discovered that huskies and St. Bernards were the most popular dog breeds of that period. Of the 34 dog breeds searched, pit bulls ranked 25th. Group Asks: How Popular Were Pit Bull Terriers Once Upon a Time? In 1977, Alfons Ertel designed the American Temperament Test in hopes of creating a uniform temperament test for dogs. Of the 70 plus million dogs that populate the U.S. today,20 about 6,600 are tested per year (0.009% of all dogs).21 The temperament data published by the group is not based upon scientific random sampling of any dog breed. It seems it would be virtually impossible to develop such a reliable study, as the base population source group is unidentifiable. Due to the temperament data being objectively statistically unreliable, it is also highly misleading. Pit bull advocates frequently use this misleading data to point to the breed's good temperament and to advocate against breed-specific laws ("Pit bulls pass the ATTS test more often than beagles!"). Yet anyone who has a minimal understanding of critical statistical analysis should be able to see that the ATTS "breed statistics" temperament data is essentially valueless. The 12-minute test stimulates a casual walk through a park with a range of encounters. The test focuses on stability, shyness, aggressiveness and a few other factors. According to the group, the overall pass rate (the combination of all breeds) is 84%.22 Unlike the AKC's Canine Good Citizen test, no part of the ATTS test is performed without the dog owner present. It also fails to evaluate the most basic scenario that leads to aggression: How a dog reacts when it sees another dog. For more information regarding the unreliability of all temperament testing, please see: Behavior Testing Shelter Dogs -- A Summary of Where We Are Now by animal behaviorist and author Alexandra Semyonova (2016) and our section for Dog Behavior Studies. The slogan often voiced by pit bull advocates, "Punish the deed not the breed," works to the benefit of pit bull breeders and owners who accept the large collateral damage the breed inflicts upon the public and has been for the last 30-years. The slogan also accepts that a "new victim" must be created prior to punishment. The goal of breed-specific legislation is to prevent the deed, as civil and criminal recourse for dog attack victims after the deed is often impossible to obtain. "She nearly lost her left arm in that attack and since then has piled up hundreds of thousands of dollars in medical bills. She has brought a lawsuit against the dog's owner. He had no liability insurance and has since moved out of the neighborhood. The main witness also has moved. This woman and her family basically have no recourse. The lawsuit is fine but who knows if they will ever get a penny out of it. I'm assuming this is a fairly common occurrence that you folks know about all too well." If one peers more closely into mauling threads -- a comment thread following a serious or deadly pit bull mauling -- and writings dispersed by national animal organizations and the pit bull community, one can find many more myths about pit bulls. Two excellent resources to learn the truth behind these myths, some of which are reckless in nature, include the Maul Talk Manual and The Truth About Pit Bulls websites. We've listed several key themes to help readers get started. Pit Bulls -- Family Pets and Fierce Fighters, by Tom Greely, Los Angeles Times, July 25, 1982. Pit Bull Attack: Case Report and Literature Review, by Steven F. Vegas, MD, Jason H. Calhoun, MD, M. Eng., John Mader, MD, Texas Medicine Vol. 84, November 1988. 2017 U.S. Dog Bite Fatality Statistics - DogsBite.org, by DogsBite.org, February 28, 2018. Dogmen Conversations About Man-Biters and Man-Eaters, by DogsBite.org (a compilation of various Internet dogfighting forum board conversations). Also, see a June 2015 blog post about GR CH Zebo who had a Hercules-sized man biter reputation. Dogfighting, Illegal, Brutal, Growing, by Wayne King, Special to The New York Times, August 15, 1974. Law Officers Are Found to Be Usually Unaware of Dogfighting, by Wayne King, The New York Times, August 29, 1974. Congress Plans Hearings on Dogfighting, by Wayne King, The New York Times, September 3, 1974. Texas a Major U.S. Center for Illegal Dogfighting and Gambling, The New York Times, September 16, 1974. A Federal Law to Curb Dogfighting Is Urged at a Congressional Hearing, by Wayne King, Special to The New York Times, September 30, 1974. Magazine on Breeding and Matching of Pit Dogs Under Inquiry, by Wayne King, Special to The New York Times, October 2, 1974. Three Illinois Men Charged in Inquiry on Illegal Dogfights, by Wayne King, Special to The New York Times, December 12, 1974. The Ethology and Epidemiology of Canine Aggression, by Randall Lockwood, The Domestic Dog: Its Evolution, Behaviour, and Interactions with People, edited by James Serpell, Cambridge University Press, 1995; republished in Animal Law and Dog Behavior, Ed. David Favre and Peter L. Borchelt, PhD, 1999. Please see our joint statement with Daxton's Friends for Canine Education and Awareness issued on July 24, 2014 and and our key correspondence document with CDC (DogsBite.org Remedy Document) that explains these biases. Previous to this, in January 2010, we also released: Viewpoint: The CDC Fatal Dog Attack Report Issued in 2000 Was Positively Biased, by DogsBite.org. The Google Search was performed in April 2018, 2.5 years after the man's death: Anthony Riggs rottweiler. Fatal Pit Bull Attacks - The Archival Record, Fatalpitbullattacks.com, January 2018. According to their website, between 2012 (1,272 tested) and December 2017 (34,686 tested), about 6,600 dogs were tested each year. American Temperament Test Society (Accessed: April 18, 2018) (atts.org). Tom Skeldon, the "Biased" Blade and Recent Ruling Halting Enforcement of Toledo Pit Bull Laws, by DogsBite.org, February 2010. Maul Talk Manual: A guide to understanding the language, excuses and false arguments of pit bull owners and advocates.